Irene Kim was selected by Korean Concert Society to perform a debut recital at the Kennedy Center’s Terrace Theater on September 8, 2012. 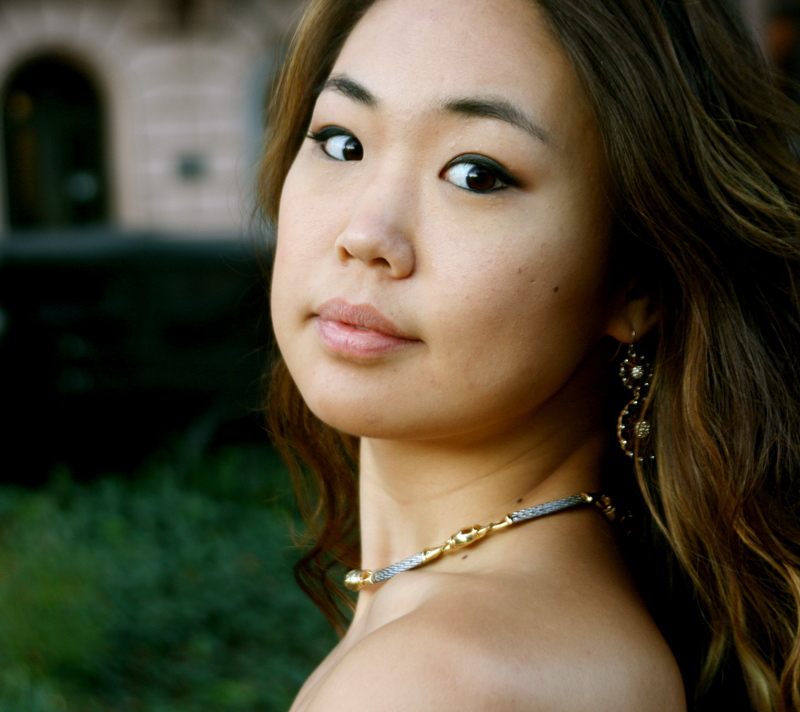 She will perform works by Shubert, Liszt, and Prokofiev as well as a world premiere of a work for solo piano by KCS composer in residence, Quentin Kim. Irene Kim’s dazzling yet stylistically pure performances have been heard across North America in recitals and appearances with the Washington Youth Orchestra, Los Angeles Korean Chamber Orchestra, Rio Hondo Symphony, Southwestern Youth Music Festival Orchestra, and repeat performances with the Young Musicians Foundation Orchestra. Irene has won awards including the Franz Liszt First Prize in the Liszt-Garrison International Young Artist competition and top prizes in the Carmel Music Society, Yale Gordon Concerto, and Russell C. Wonderlic competitions. She has performed at the Wilshire Ebell Theatre, Dorothy Chandler Pavilion, Centro Cultural del Antiguo Instituto, Luckman Theatre, and the Library of Congress. She has also made appearances at the Banff Centre for the Arts Festival, Gijón International Piano Festival, Piano Festival Northwest, Seminars at the Colburn School, Columbia Chalice Concert Series, An die Musik LIVE, American Liszt Society Conferences, and also as a member of the Young Artists Guild. Irene has collaborated extensively with vocalists, cellists, violinists, and percussionists. She has toured frequently with violinist Andréa Picard, appearing in recitals during the 2011-2012 season from Québec to the mid-Atlantic region to enthusiastic audiences. Irene’s other interests have led her to train as a conductor and also as a piano technician assistant at the Peabody. Irene was born and raised in Los Angeles and began musical studies at age three with her mother. By age five, she was accepted into the distinguished studio of Ick-Choo and Hae-Young Moon, where her formative training was established. At age eight, she made her orchestral debut with the Young Musicians Foundation Orchestra. Irene’s professional training has been centered at the Peabody Conservatory, where she received both Bachelors and Masters Degrees in an accelerated program. She was awarded the Albert and Rosa Silverman Memorial Scholarship and the Lillian Gutman Memorial Piano Prize by the Conservatory for her musical endeavors during her studies there. Her mentors and teachers, Marian Hahn and Boris Slutsky, have been infinitely inspiring in the impartation of their passion for the art of musicianship. She continues to study with Boris Slutsky as a candidate for the Doctorate of Musical Arts at the Peabody Conservatory.